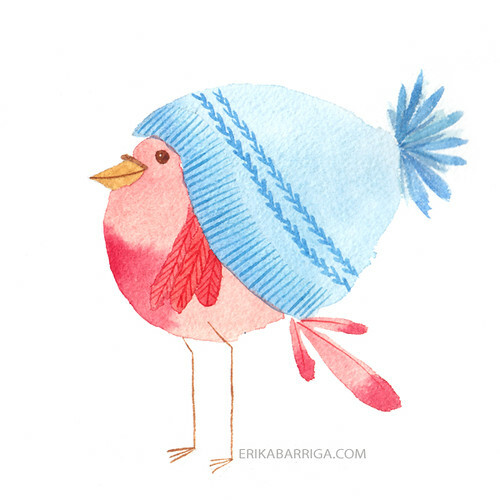 This little bird is wearing his new slouchy hat. Another attempt for New for Illustration Friday. So far so good with the more goal. Painting more, coming right up!